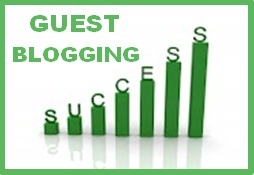 Guest blogging is nothing new, but it is enjoying a sudden surge in popularity at the moment. Since Google's Penguin and Panda updates, simplistic SEO methods such as buying links or using blanket article directory submission just don't cut it for SEO. This means that more and more marketers are turning to guest blogging to boost the popularity of their sites. Guest blogging can work well, but finding quality sites to post on, and then getting a positive response from those sites, can be a challenge. Of course, this makes sense - the best sites to share posts with are the ones that are authority sites with high quality standards. If you want those sites to take your content, then you, or your SEO agency, will have to put forward a compelling case. As a website owner yourself, you know how much hard work goes in to building a good blog, and you know how much email prominent bloggers get. If a blogger sees a boilerplate mail from an SEO agency, there's a good chance that they'll just delete it before they even get past the first paragraph. Most bloggers are, understandably, rather jaded when it comes to people offering them "free content" (read, spam posts) for their blog. If you want a good response rate, you'll need to put some effort into the emails you send. In an ideal world you'd send carefully written emails to every recipient, but that's not practical if you want to reach out to hundreds of bloggers. It's still a good idea to tailor your emails though. A good SEO agency will put together a list of high quality, relevant blogs, and will send emails to each of those bloggers, mentioning their name, and the name of their blog in the mail. Since these mails only go out to relevant bloggers, those people will feel that the agency has done some research before contacting them, that that will increase the chances of getting a response. Even if a webmaster responds to your initial email, there's no guarantee that they'll accept a guest post from a complete stranger. Authority bloggers are protective of their blogs, and understandably so since they have a reputation to maintain. If you want someone to allow you to speak under their name - which is essentially what guest blogging is, then you need to build up a positive relationship with them. A good SEO agency should have long-standing relationships with bloggers under a range of niche. Those bloggers know that the agency will only contact them about relevant and interesting websites, and will provide them with high quality articles when they're looking to place guest blogs. If you want to handle your guest-blogging in house, you'll have to cultivate the same relationships. You can do this by building up a list of quality blogs in your RSS reader, commenting on those blogs, leaving trackbacks, and generally being a part of the community. Bloggers think of regular readers and commentators as friends, and are more likely to want to work with them than they are to work with strangers. This post was written by James Harper on behalf of Boom Online Marketing.